Christmas Games DIY Jenga - Holiday Family Fun! Christmas Games DIY Jenga – Holiday Family Fun! Oh the holidays! So much joy, so much fun, so much family togetherness. Okay, so yeah, about that family togetherness. 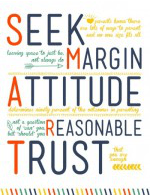 It can be great, but it can also be challenging. Whether you suddenly have a house full of kids on winter vacation or family visiting for an extended stay, you need a plan with activities to keep peace and goodwill intact. 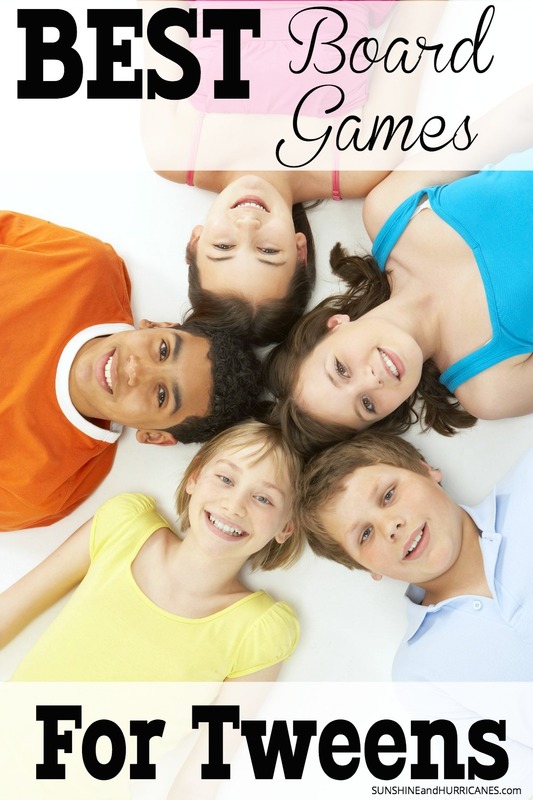 A family game night with a Christmas games theme can be a perfect solution. This DIY Jenga game is easy to put together and will entertain across generations. Jenga is always a favorite in our household, because it’s not restricted to a certain amount of players. It’s also ideal because it appeals to grandchildren, grandparents and everyone in between. Most families have this game lying around and if not, it’s not expensive to pick-up. You’ll be happy to add it to your stash of games for family game night. 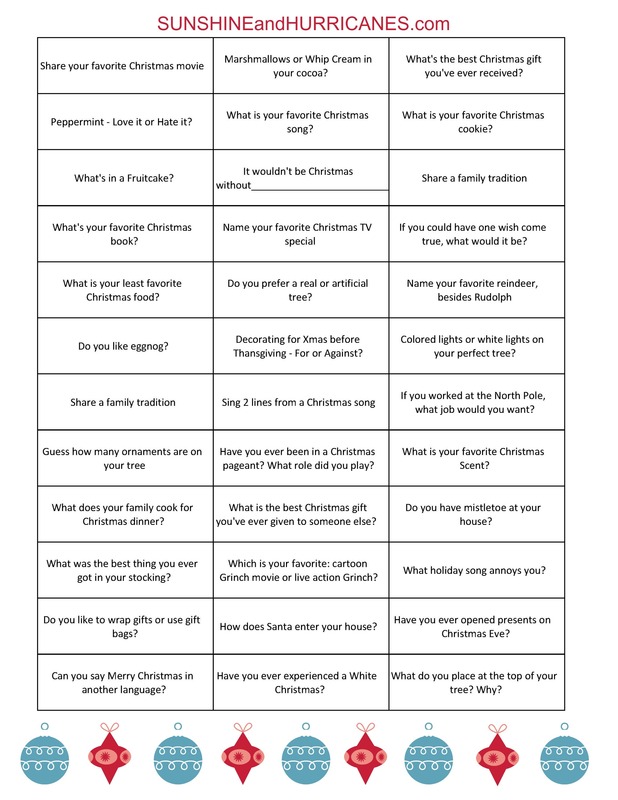 To assemble your Christmas Games DIY Jenga you can use this handy holiday questions printable. It’s filled with all sorts of questions that are sure to get even the grouchiest grinch giggling and grinning. Print the questions, cut them out, and then apply them to each Jenga block with a piece of clear tape. It won’t take long at all. Now you can make it super easy and just stop there if you want. But you can also add a little more Christmas spirit to the game by adding washi tape to the ends of some of the blocks. It just makes them look a bit more festive. You and your kids could easily knock it out while you’re watching one of your favorite Cheesy Christmas movies. As far as Christmas games go, this DIY Jenga is not only fun to play with family, but will also be a hit at holiday parties. 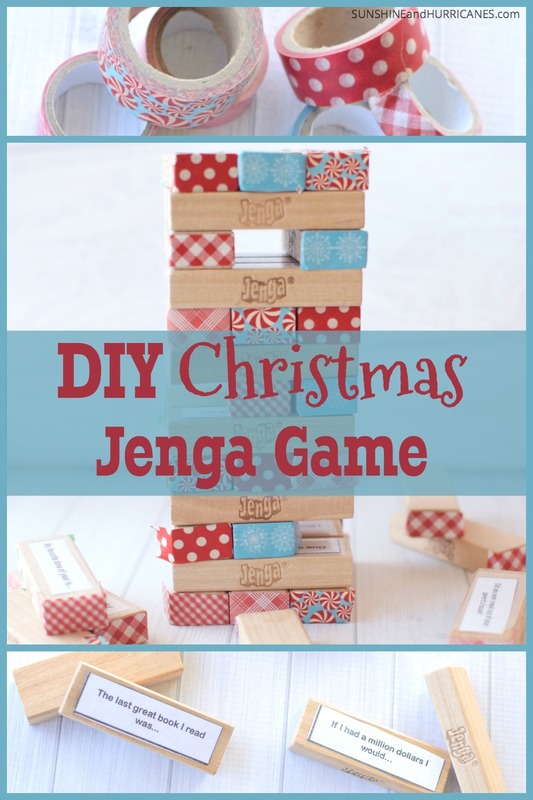 A great way to repurpose an old favorite, our Christmas Games DIY Jenga is sure to become a favorite Christmas tradition. If you’re looking for other family games to play this holiday season, we’ve got TONS of suggestions for you! 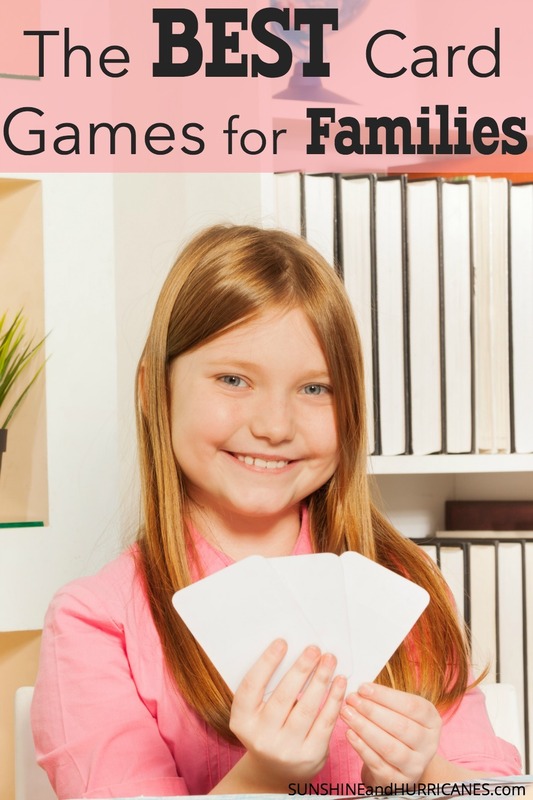 Card Games for Families; Make It a Family Game Night! What are some of your family’s favorite Christmas Games?